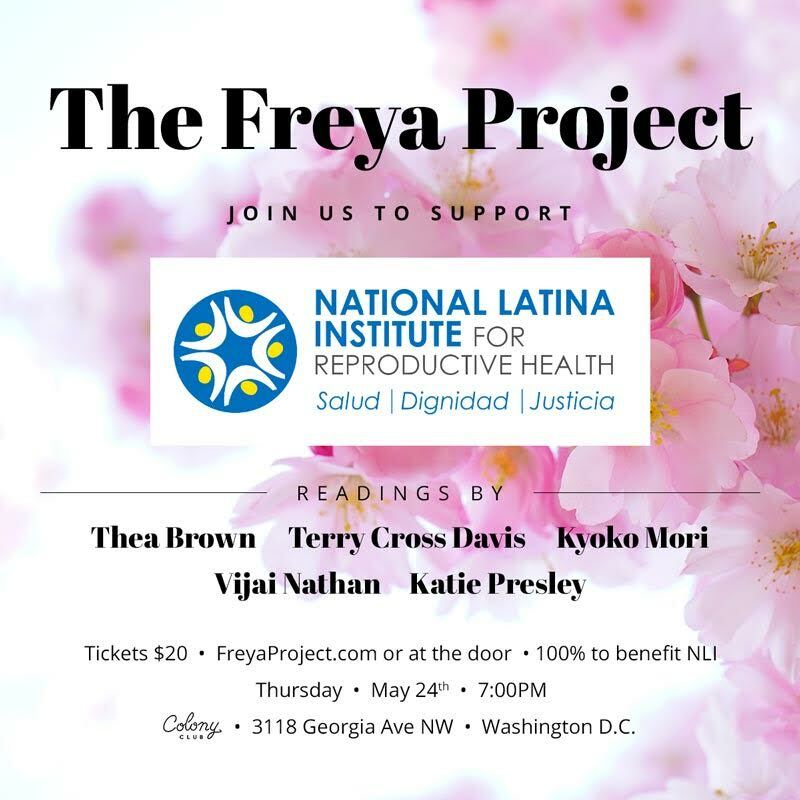 The first-ever DC edition of the Freya Project will include readers Thea Brown, Vijai Nathan, Kyoki Mori, Katie Presley, and Teri Cross Davis. The Freya Project is a fundraising reading series started in the wake of the 2016 election as a way to try and unify women in our fractured country. All proceeds from ticket sales go directly to small, non-profit organizations located in communities that do not always embrace the vital work they perform. We'll be donating the funds raised from the $20 tickets to the National Latina Institute for Reproductive Health (NLIRH). The theme for the evening is A Time You Broke The Rules.